Legends are born destined to achieve greatness through sheer determination, hard work and being true to one’s strong beliefs. Success follows such legendary figures in whatever they do. However, there is a flip side too. Individuals have to face dirty politics from the jealous quarters, who try to belittle greatness of legendary figures. Mithali Raj is a legendary Indian woman cricketer, who has always played zealously for nation’s pride and honour. In the past two decades, her magnificent achievements are one of a kind in the international women’s cricket. Her records speak volumes of her amazing long stint on the crease, as well as leading the Indian Women’s Cricket team as the Captain. Mithali Dorai Raj became the first woman cricketer in the world to play 200 ODIs, when she faced New Zealand in the third ODI at Seddon Park in Hamilton on the 1st of February 2019. Mithali Raj holds the world record for being the all-time leading run-scorer for India in all the three formats of the game, namely, Tests, ODIs and T20Is. She also holds the record for most consecutive 50s by a woman cricketer, when Mithali scored her seventh consecutive half-century at the 2017 Women’s Cricket World Cup. She is the 1st Woman Indian Cricketer and the 5th player overall to score 1,000 plus runs in Women’s World Cup editions. Mithali also holds the record for playing the most consecutive Women’s ODIs for a team. She is the first player to Captain most matches for India in ODI and T20I. Mithali Dorai Raj made her ODI debut, while she was just a 16-year-young schoolgirl, against England in Milton Keynes in January 1999. In the past two decades, she has successfully climbed the stairs of success to become a women’s cricketing legend. Mithali Dorai Raj was born on the 3rd of December 1982 in Jodhpur, Rajasthan. Father Dorai Raj was Warrant Officer in the Indian Air Force. Mother Leela Raj is a housewife. The family hails from Tamil Nadu. A gifted player, Little Mithali started playing cricket at the age of 10. By 17, she was selected to represent India. Mithali completed her High School from Keyes High School and completed her Intermediate from Kasturba Junior College for Women in West Marredpally, Secunderabad. While she was still in school, along with her elder brother, she was coaching youngsters. She used to practise at school and often played with male cricketers. Mithali Raj is a truly gifted cricketer. Having started playing cricket at a tender age of 10, she was noticed by national selectors at the age of 14. Her amazing talent saw her being named one among the probables for the 1997 Women’s Cricket World Cup. She was too young for Team selection. In 1999, Mithali Raj received a call to represent India against Ireland at Milton Keynes. In her debut ODI, she scored an unbeaten 114 runs. Three years later, she made her Tests’ debut against England. Mithali shattered Karen Rolton’s highest individual Tests’ score of 209 not out, by scoring 214 against England at County Ground, Taunton. Two years later in 2004, Pakistan’s Kiran Baluch scored 242 against West Indies to surpass Mathali’s record score. In 2005, Mithali Raj led as the Captain of Indian Team in the first World Cup final against Australia in South Africa. Australia went onto win the first World Cup. In 2006, she led to India’s first-ever Test and Series victory in England. 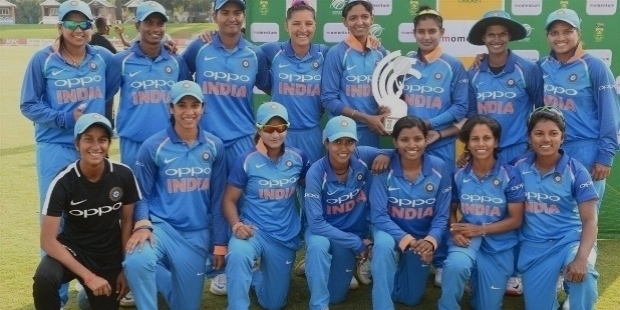 Indian Team under Mithali Raj went onto win the Asia Cup. In February 2017, Mithali achieved the distinction to become the second player to score 5,500 runs in ODIs. By July 2017, Mithali had added another 500 runs to become the first player in the world to score 6,000 runs in ODIs. Mithali has been unlucky to win Women’s World Cup for India. Unfortunately, India lost the 2017 Women’s World Cup to England by just 9 runs in the final. December 2017, Mithali Raj was selected in the ICC Women’s ODI Team of the Year. 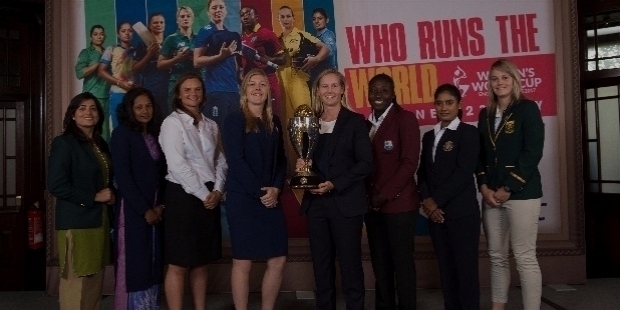 She was named in the team for the 2018 ICC Women’s World Twenty20 tournaments, which was held in West Indies. Successful winners often develop opposition from others, who cannot achieve greatness like them. Having played for India since the past two decades, Mithali Raj seems to perform better than youngsters’ members of the team. Her invaluable contribution in Indian women cricket is second to none. In the 2018 Women’s T20 World Cup, the selectors dropped Mithali Raj for the semifinal game against England, which was a huge mistake. India lost the semifinal and was out of the international tournament. She immediately emailed a letter to the BCCI President stating CoA – Committee of Administrator Diana Edulji was trying to sabotage her career along with Coach Ramesh Powar and T20 Captain Harmanpreet Kaur. The two also wrote against Mithali Raj to BCCI. Incidentally, both the letters got leaked and it became an embarrassing moment for CoA Edulji and Coach Powar. Edulji tried her best to support Powar and put Mithali down. However, BCCI sacked Powar and appointed W V Raman as the new Coach. BCCI reposed their faith on Mithali. She retained her place in the T20 squad and ODIs’ Captaincy for the New Zealand tour. Mithali Raj led India to win the ODI series 2-1. Mithali disclosed, “When a Coach comes in the National side, we as a team are very vocal and expressive as to what is required for the benefit of the team. The Coach and the players will have to be on the same page, because that’s very important. And, I am sure. I have not trained under Coach Raman, but met him couple of times. He has played at the highest level and coached various teams at various levels. So, he comes with that reputation and there are no expectations as such, when you have credentials like that. You are only positive that the Coach will make big difference to the team, getting in to the year and to the series.” Mithali has been grateful to all the Coaches in shaping up the team. 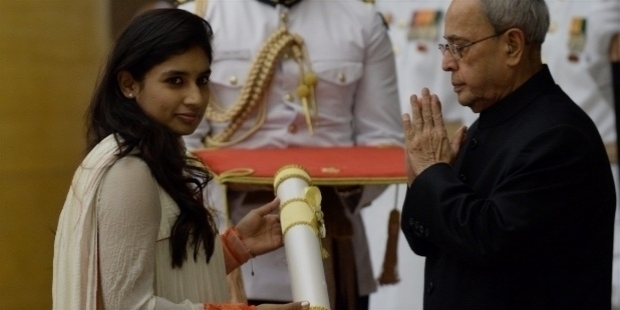 In 2003, Mithali Raj was awarded the Arjuna Award for her invaluable contributions to Indian Women Cricket. In the year 2015, she was honoured with Padma Shri for her legendary stature.